This Special Lecture Series features discussions by guest lecturers on a wide range of design, boatbuilding, and engineering subjects. Currently posted are four discussions on computer aided boat design and construction. Note: Westlawn graduate Jack Hargrave (1935-1996), was one of the most prolific yacht designers of the 20th Century. 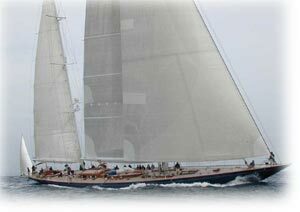 He was considered by many to be the dean of American yacht designers. He was also committed to education and was a strong supporter of the Westlawn Institute of Marine Technology. We are honored to dedicate this lecture series to him. By: Stephen M. Hollister, N.A., P.E.